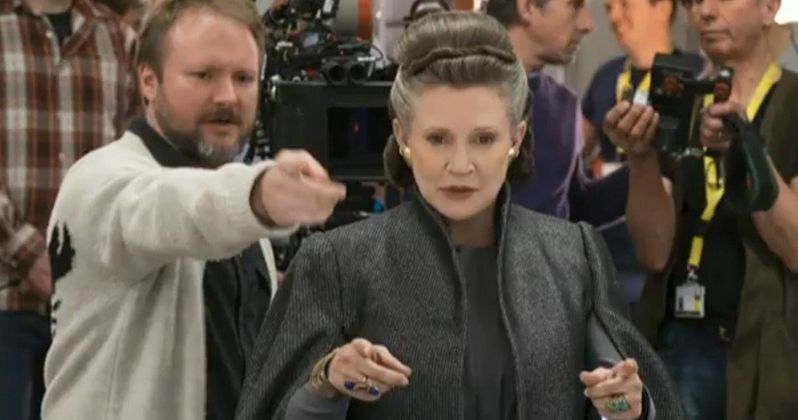 Director Rian Johnson, who is busy in post-production on this December's Star Wars: The Last Jedi, has spoken out about creative control after insinuations that his movie could be in jeopardy after Lucasfilm fired Chris Miller and Phil Lord from Han Solo: A Star Wars Story. Lucasfilm unveiled a bit of a bombshell late into the news cycle yesterday, that they had let Lord and Miller go, due to creative differences. Since this is not the first time that this has happened in recent memory, *cough* Rogue One, speculation has been rampant about Rain Johnson's Star Wars 8 and Colin Trevorrow's Star Wars 9. A Twitter user decided to tweet at Rian Johnson, questioning Disney and Lucasfilm's commitment to artistic creative freedom for their directors. The fan asks this. "(Rian Johnson) You praised Disney for months about creative control and yet Miller and Lord are fired for having their own vision. Strange." The fan is basically insinuating that Johnson is lying about his creative freedom on the set, which is strange in itself because there's no way in hell this dude would walk up to Johnson and insinuate such a thing. Johnson calmly addressed the question and basically said that was not an issue in his experience. Read his response as posted on the official Rian Johnson Twitter. "I had as much creative control on TLJ as I've ever had on any of my own movies." In terms of the Han Solo firing, Lucasfilm and Disney took a similar approach with the production of Rogue One when they brought Tony Gilroy into replace Gareth Edwards at the last minute, to rewrite and reshoot elements that the studios were not happy with. This is a common practice. The decision obviously paid off at the box office and most critics and fans were very happy with the end results. The point being, Disney and Lucasfilm know what they are doing and they're not going to gamble with a franchise as beloved as Star Wars. There's no doubt that Lord and Miller had complete creative control, it's just their vision didn't jive with what Lucasfilm and Kasdan had in mind. There is also no doubt that J.J. Abrams had full creative control or that Rian Johnson and Colin Trevorrow won't receive it as well. It is rumored that Chris Miller and Phil Lord were looking at taking the Han Solo movie and taking a comedic approach with the title character. This apparently did not sit well with the brass at Lucasfilm or screenwriter Lawrence Kasdan, who wrote the script for Han Solo. There are a few names in the running to take the reigns, but an official replacement director has not been announced at the time of writing. Disney and Lucasfilm are not hiring directors to tell them what to do. These directors are hired to do what they do best, which admittedly does sound a little odd when you think of Lord and Miller's background. Whatever, it didn't work out, a new director will be announced soon, Rian Johnson had his creative control and so will Colin Trevorrow, and Han Solo: A Star Wars Story will be released on schedule.